Today we return to our on-going, interactive blog series of researching your ancestor’s Civil War experience. So far we have explored ways in which to find out in which unit(s) your ancestor(s) served in and then followed-up with our second post in the series on how to access their service and or pensions records. During our first post together I related how I would use my own experience with my Civil War ancestor’s past as an example of how to research these men. Although I had three men who served, only one, Uriah Roe, 100th Pennsylvania Volunteer Infantry, served long enough to have not only an real experiences during the war, but also have a service record in which to glean more information about his service. Based upon records in Uriah’s service records from the National Archives and Fold3.com I was able to determine when he mustered in with the 100th. Joining in late January 1864, Uriah was mustered in and reported to a camp of instruction in February 1864. With the date he entered service, and then his mustering out in July 1865, I was able to determine what campaigns and battles he was in during his period of service. This information and how to piece it together to provide a larger narrative to your ancestor’s war experience will be our topic of this post. Many of us today if pressed on the knowledge of the numerous engagements outside of the more well-known battles that our ancestor’s participated in would be hard pressed to articulately explain their unit’s role in those fights. Knowing where they fought and what their unit did during each battle only deepens one’s understanding of their participation in not only that individual battle, but also in a larger sense their overall experience during the war itself. So how would one find out all the engagements, from skirmishes to large, multi-day battles, that these men participated in? The first and easiest step is to use a “go to” source in Civil War research, Frederick Dyer’s A Compendium of the War of the Rebellion. Dyer, at the age of 14, ran away from school and through a harrowing story of name changes secured a position as a drummer boy with the 7th Connecticut Volunteer Infantry. 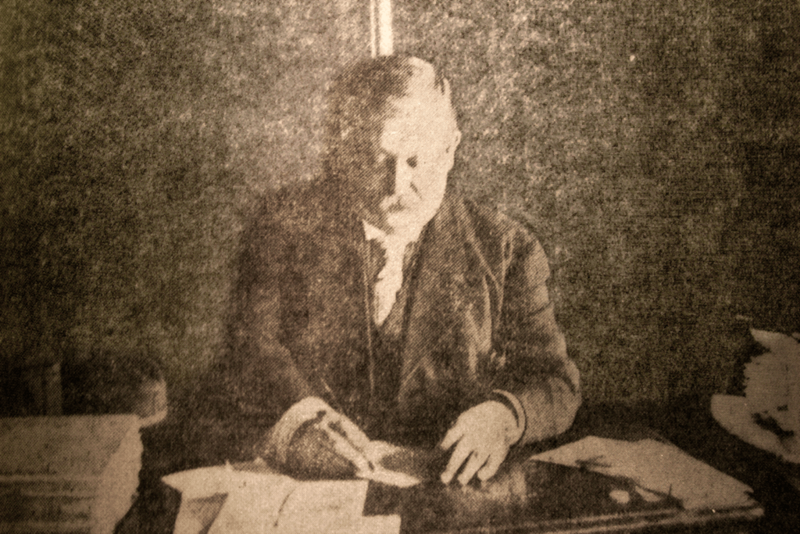 Dyer working on the Compendium – Courtesy Des Moines Register and Leader, 1908. In 1867, Dyer began work on what became his Compendium. Although he had gathered information on units and veterans for years, Dyer worked on his statistical, 1,800 page, three volume look at the war between 1904-1908. Dyer’s work, for our purposes provide small unit histories of each unit that served during the war in his third volume. It is here that you can now piece together a much broader picture of your ancestor’s war record. A free, online version of Dyer’s complete work can be found here https://archive.org/details/08697590.3359.emory.edu. There are more detailed looks at a unit’s history of service, however. Known commonly as regimental histories, these works were originally written by unit historians during the post-war era of the 1870s and 1880s. They include many valuable pieces of information about a particular unit, including rosters, images of men who served in those units, essays or reminiscences by different veterans, and a detailed war narrative written by the unit historian. Although hundreds of these were written between the end of the war and into the early twentieth-century, not every unit has a regimental history. Over the course of the past thirty years, however, academics and enthusiasts alike have picked-up the torch on writing regimental histories on units that until their work never had one. The best place to determine whether or not your ancestor’s unit has a history such as this in print is through the best library in the world, the Library of Congress. By using this website, https://www.loc.gov/rr/main/uscivilwar/, you can find out what has been published in the way of regimental histories for your ancestor’s unit(s). If you find any that were published a long time ago, do not fret that you won’t be able to get your hands on it. Many of these are now free and online. Try typing in the title or author’s name into Google or Yahoo and they just may pop-up! In our next post we will explore different ways to fill out the rest of your ancestor’s war experiences. Below, in the comments, let us know what battles or campaigns in which your ancestor(s) participated. This entry was posted in Armies, Battlefields & Historic Places, Battles, Campaigns, Civil War Regiments Series, Common Soldier, Internet, Websites & Blogs, Medical, Memory, National Park Service and tagged Ancestry, Library of Congress, National Archives, Regimental History. Bookmark the permalink. Daniel–I have carefully bookmarked all your posts, and now that Christmas vacay is here, will go back and reread, print out, and do some research. It may not be my Civil War ancestor, but I have a couple of men whose records I need. I think this is a wonderful addition to ECW. Thanks, and Merriest of Christmasses to you. Hi Jason. We recently received some information on your Great x3 grandfather’s unit 18th Wisc from a new reader here at ECW. His name is Luke Lemke and he has an extensive repository of information on the unit he would like to share with him. If you are interested, send him an email at lukelemke7@gmail.com.